Founded by celebrity esthetician, Jillian Wright, and entrepreneur, Nader Naeymi-Rad, IBE was established to help the fast-growing category of indie brands connect to Buyers, Press, Consumers and Investors. Unsatisfied with the options available, Jillian and Nader formed IBE to provide a solution specific to market-ready indie brands. IBE debuted in New York City in August of 2015 and has since expanded to four strategic markets in N. America and Europe: New York, Los Angeles, Dallas and London. Today IBE offers Buyers, Press, Investors and Shoppers an opportunity to discover and transact with the largest collection of independent beauty brands in the world. 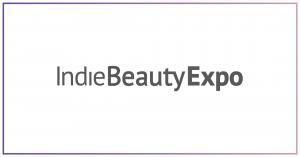 The IBE platform has expanded to include Beauty Independent, the definitive content destination for beauty entrepreneurs, BeautyX Summit series focused on entrepreneurial learning and networking, and Retail Partnerships, such as ShopTheExpo, offering retailers a program to seek, secure and sell differentiated indie beauty collections. Celebrity esthetician, spa owner, and founder of Jillian Wright Skincare, Jillian has been in the beauty industry for over 15 years. An entrepreneur and management expert, Nader brings a successful track record of building and launching highly scalable new businesses. It’s hard to believe, but IBE turned two years old in 2017. To mark the occasion, we produced a short video to celebrate our journey and shed some light on the path forward. BeautyX Summit is the next generation of CONNECT INDIE, an educational event that originated at IBE. This 2-day summit provides beauty entrepreneurs with the knowledge, networking and thought leadership they need to succeed. IBE co-founder, Nader Naeymi-Rad, talks about why indie brands are, and will remain, a key driver of growth in the beauty, lifestyle and wellness markets. In October 2017, Indie Beauty Expo and Neiman Marcus teamed up to bring the best of SHOP INDIE to the Neiman Marcus flagship store in Dallas, Texas.